"Take a moment and imagine a ladder with steps numbered from zero at the bottom to 10 at the top. The top of the ladder represents the best possible life for you, and the bottom of the ladder represents the worst possible life for you. On which step of the ladder would you say you personally feel you stand?" Have you come up with a number? This is how Gallup measures people's life satisfaction all over the world every year. The bigger question that remains is what contributes to one's overall happiness. The World Happiness Report 2016 Update, which was launched today, shows clearly that while income matters, it's not the only thing. Health both physical and mental is clearly fundamental. But what is perhaps most important for life satisfaction is having strong social support networks or a "generalized trust" among strangers in society and in government to do what is best for its citizens. This may seem obvious, but happiness and well-being continue to be strangely absent from our national policy discourse. By looking at the trends 156 countries go through year by year, this report urges leaders to look at key variables that affect life satisfaction and make informed policy decisions. 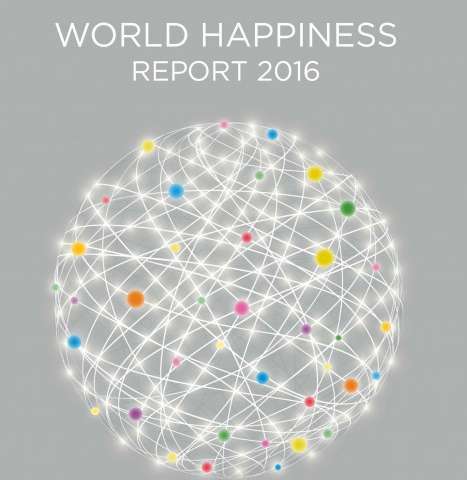 This report, the fourth of its kind, also gives new attention to the inequality of happiness across individuals. In previous reports the editors have argued that happiness provides a better indicator of human welfare than do income, poverty, education, health and good government measured separately. In a parallel way, they now argue that the inequality of well-being provides a broader measure of inequality. They find that people are happier living in societies where there is less inequality of happiness. They also find that happiness inequality has increased significantly (comparing 2012-2015 to 2005-2011) in most countries, in almost all global regions, and for the population of the world as a whole.